I cannot believe this is week 5 in the Thrift Shop Series. Time is moving much too quickly! This week I am sharing a few old things and something new to me. 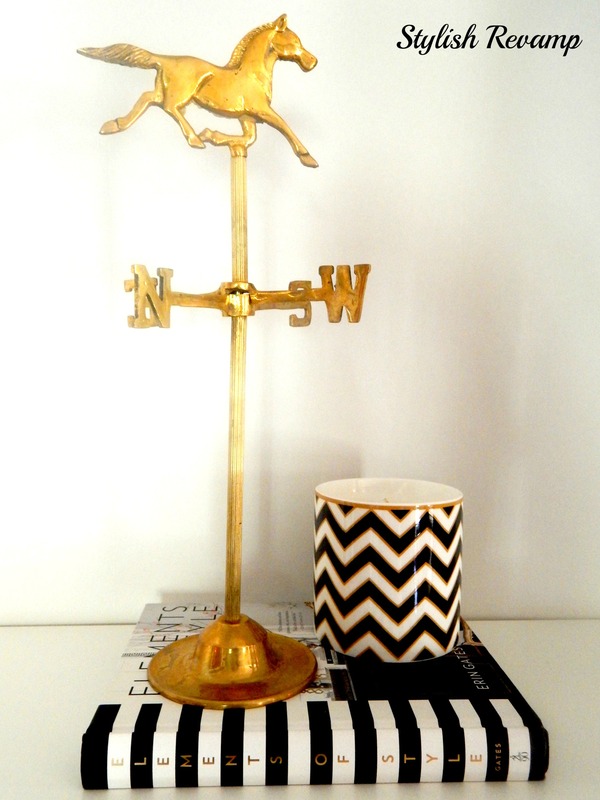 Up first is my gold weather vane that I picked up at the consignment shop yesterday. I wasn’t sure if I really liked it or just liked it. Once I got it home and cleaned it up with some tarnex, I really liked it… a lot! I can’t believe I am going to say this but I am really into anything gold right now. Yes, I know it was about two weeks ago when I mentioned that I couldn’t stand anything gold or brass! What can I say? I am a woman and it’s my prerogative to change my mind. Also, notice the book that the weather vane is sitting on…Elements of Style by Erin Gates. I love her sense of style. Next up on Thrift Shop Thursday is my magazine rack. I picked this up at Goodwill awhile back. You can see what it used to look like here. 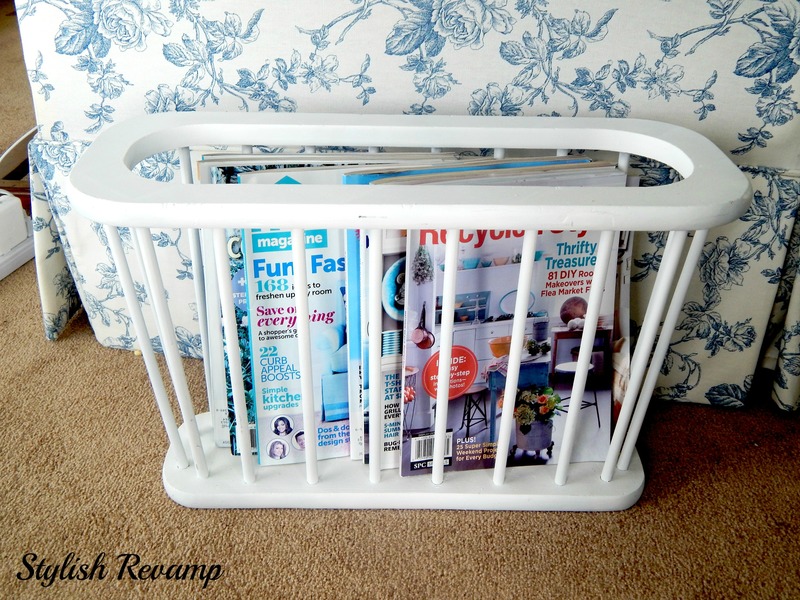 After a quick revamp: sanding and spray-painting, the magazine rack is as good as new! It fits the aesthectics of the Island Home perfectly which is very casual! Speaking of Goodwill, the new store near me is opening next week, so you know where I will be. 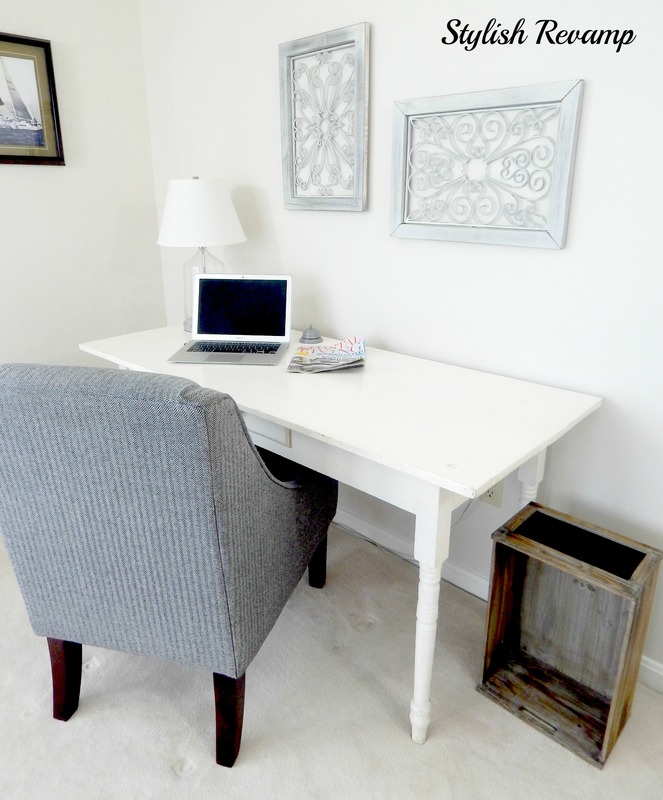 My final find that I am sharing this week is the desk I use at the Island Home. I found this at a consignment shop on the Eastern Shore for $10. So far the only thing I have done with it was clean it then clean it some more. I was originally going to paint it but I actually like it just the way it is, simple and understated. That’s all for this weeks Thrift Shop Thursday #5. I hope you are finding great deals this week. 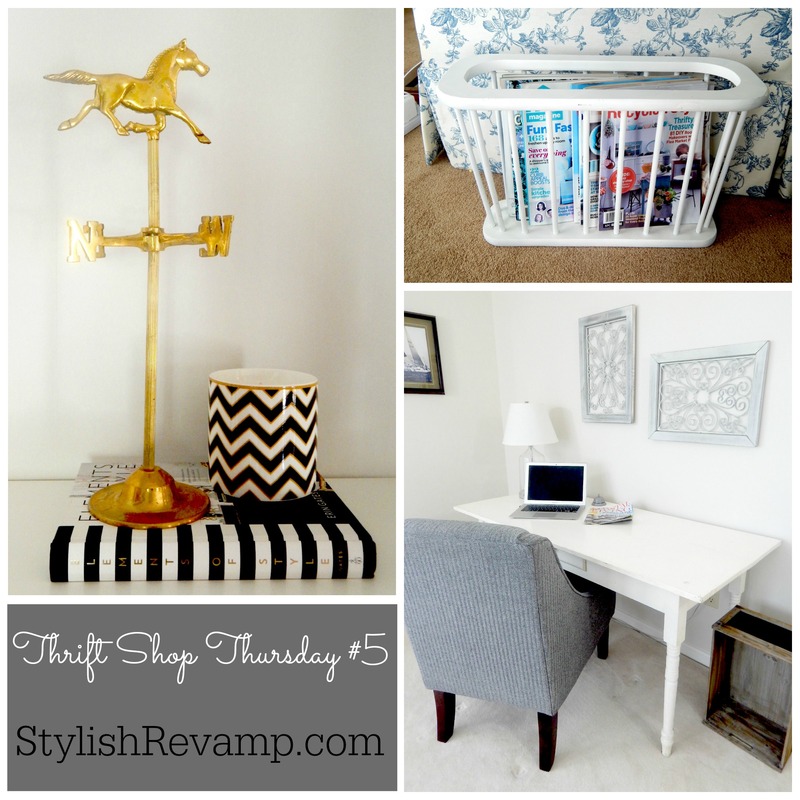 Share your Thrift Shop Finds on my Facebook page, I’d love to see what you found!